PrizeGrab Scam Exposed — Nothing Common with the Official Sweepstakes! Are you a fan of sweepstakes websites? If so, you’re probably aware of PrizeGrab. The name tells potential participants a lot about the website – it gives players a chance to try different opportunities for the purpose of grabbing a prize. Unfortunately, the legitimate website is having its name being used by scammers. This is how the PrizeGrab scam was born. If you’ve never tried lottery websites and sweepstakes in the past or you don’t know how to protect yourself from illegitimate proposals, the following guide will be the right one for you. PrizeGrab is a relatively popular website. There’s no purchase necessary in order to participate and just about every US citizen over the age of 18 can join. Once a person subscribes, they will see a list of available prizes. In order to eventually win, the individual will have to register for the specific opportunity. The terms, conditions and the amount of the prize are provided with every individual opportunity. Please note that PrizeGrab doesn’t make it possible for someone to win without signing up or participating for the respective prize (more about that later, once we introduce the scam that relies on the popularity of PrizeGrab). Every single day, PrizeGrab makes official announcements about winners via email. This is where things can get a bit tricky because dozens of scams out there rely on email communication for the purpose of fooling gullible individuals. Thus, such emails will need to be checked carefully and their legitimacy will have to be verified before any additional communication takes place. As you can see, the rules are pretty simple. PrizeGrab is more of a sweepstake opportunity rather than an actual lottery platform. The simplicity and the dozens of different prizes available have made it quite popular among players in the US. Unfortunately, the name of PrizeGrab is being used maliciously. When speaking of a PrizeGrab scam, we’re actually describing multiple fraud attempts. All of them have one thing in common – the perpetrators are individuals presenting themselves as PrizeGrab officials via different communication channels. According to the official PrizeGrab website, there are phishing scams carried out via emails impersonating PrizeGrab notifications. 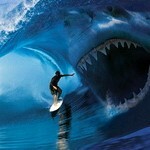 Phishing is an activity aimed at getting personal, login or financial information from the recipient. Such emails usually impersonate ones being received from actual institutions – banks, the IRS, PayPal and even lotteries. The PrizeGrab report suggests there are several ways to recognize one of their official emails. For a start, the official PrizeGrab notifications are sent from a team manager and they refer to an actual sweepstake that the person has entered. If you haven’t played via the website, it would be impossible for you to win anything. In addition, the legitimate emails are sent from a [email protected] email. This is the official domain of the opportunity. If you get an email like [email protected], chances are that you’re either being scammed or that you’re subjected to a phishing attempt. Email scams and phishing attempts, however, aren’t the only ones. 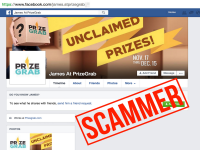 Lottery enthusiasts report that scammers impersonate PrizeGrab officials on social media. Messages have been received both via Istagram and Facebook. The content of the message is similar regardless of the channel being chosen. The recipient is made aware of the fact that they’ve “won” either a certain cash amount or a brand new car. In order to collect the prize, the recipient is asked to provide a bank account number and they also have to pay a processing fee that exceeds 300 dollars. 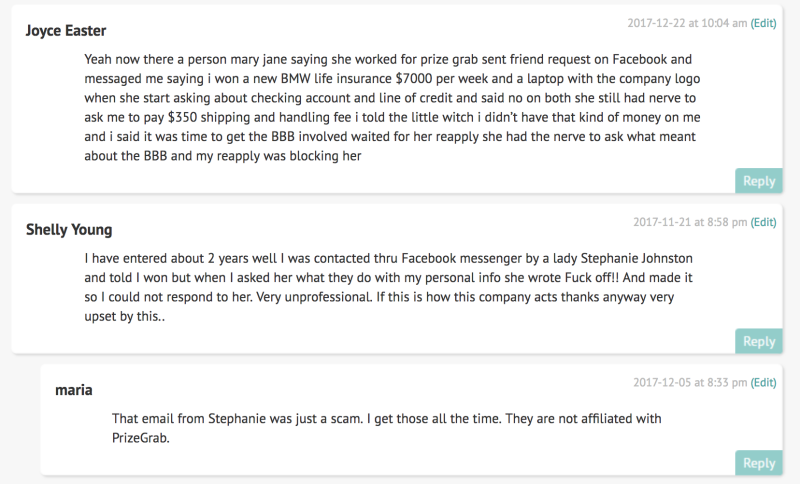 The message will come from a person with a legitimately-sounding name like Stephanie Johnson, for example. Once a scam profile is uncovered and reported to the Facebook or Instagram admins, it will be deleted and a new one will appear in its place. Thus, the name will change periodically, but the gist of the scam will remain the same. 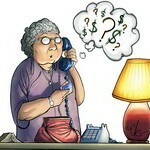 Please remember that you cannot win prizes from sweepstakes and lotteries that you haven’t entered. In order to become a PrizeGrab winner, you have to register for the respective prize that you’re interested in. Don’t be gullible and don’t put yourself in jeopardy due to thoughts that you could win some easy cash. I think that it is a scam. Everything looks legit, but I stopped getting emails from them during the time that I was entering. Assuming that it was an ok site I left message as I no longer could get the bonus contests that are your bonus and I couldn’t get messages if I won. Never got an answer back. When you see what prizes that they offer you have to question where all of the money (from the ads) is going. When I got their winner lists they seemed skimpy to me. By the way I attempted to reach them thru their contact page over and over. I even gave them another email address if they really had a problem with my email. Their site said that they would respond in 24hrs…not to me, alas. I was also contacted by a person by Facebook messenger. I like to egg them on. I read all the rules and wasn’t fooled there. The problem there is Facebook. Today my facebook got hacked from Sunnyvale, CA. This is not prize grabs fault totally FB. Be smart if you have time why not. 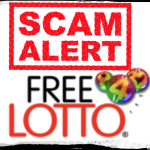 The Top 5 Alternatives to Being a Scam Lottery Provider! If You Lack These, Chances Are you’re a Scammer!